Vinca rosea is one the best summer flowers for Phoenix. It can be grown in pots or in the ground, but will get through the winter better in the ground. Vincas bloom continously all summer and are not bothered by the summer heat as long as they recieve adequate water. 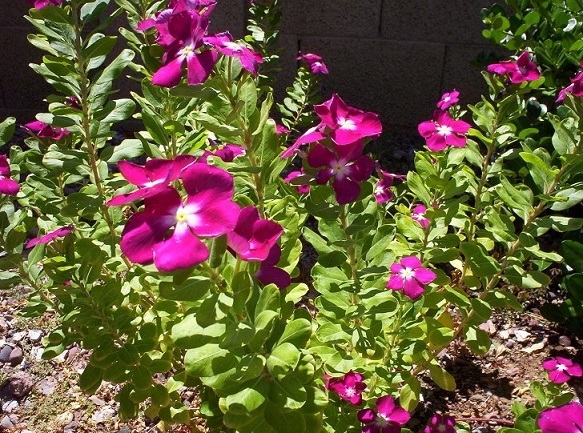 Vincas survive the winter in Phoenix, although they will look a little yellow and ragged. New stems will emerge from their roots when the weather starts warming up again in the spring.